A voter drops his ballot in the ballot box in South Lake Tahoe on Election Day 2018. VOTER GUIDEClick here to view a voter guide. Today is Election Day in California state Senate District 1, which includes all of El Dorado County. Registered voters who are not signed up to receive a mail-in ballot can look up their El Dorado County polling place here or call 530-621-7480. Polls are open from 7 a.m. to 8 p.m. Voters who have not returned their mail-in ballot need to return it today at any polling place or one of these two locations: the El Dorado County Recorder/Clerk Office at 3368 Lake Tahoe Blvd., Suite 108 in South Lake Tahoe; or the El Dorado County Elections Department at 2850 Fairlane Court in Placerville. In order to count, mail ballots must be postmarked on or before Election Day and received within three business days after the election. Under state law, those who have not registered and are eligible to vote can cast a conditional ballot today by visiting the elections department in Placerville. Today’s special election is to fill the seat vacated by Ted Gaines, a Republican who was elected to the California Board of Equalization last November. 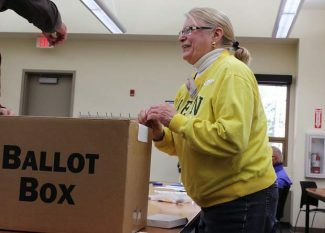 Voters have their choice of six names on the ballot, although one of those candidates, Steve Baird, withdrew from the race in February. Baird’s decision to drop out came too late to remove his name from ballots. 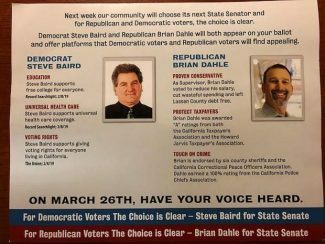 The other five names appearing on the ballot include: Republicans Brian Dahle of Bieber; Theodore Dziuba of Placerville; Rex Hime of Sacramento; Kevin Kiley of Rocklin; and Democrat Silke Pflueger of Truckee. 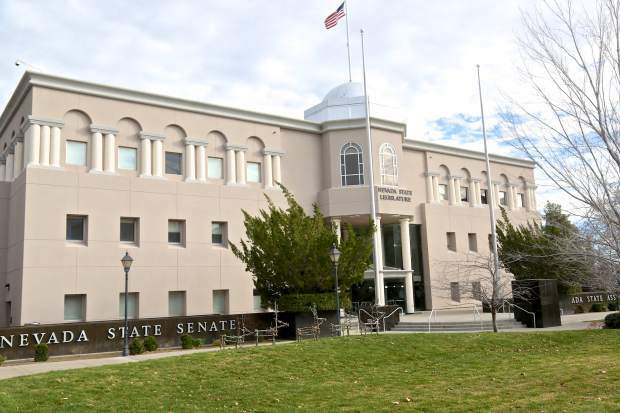 The sprawling California state Senate District 1 also includes all of or parts of Alpine, Lassen, Modoc, Nevada, Placer, Plumas, Sacramento, Shasta, Sierra and Siskiyou counties.